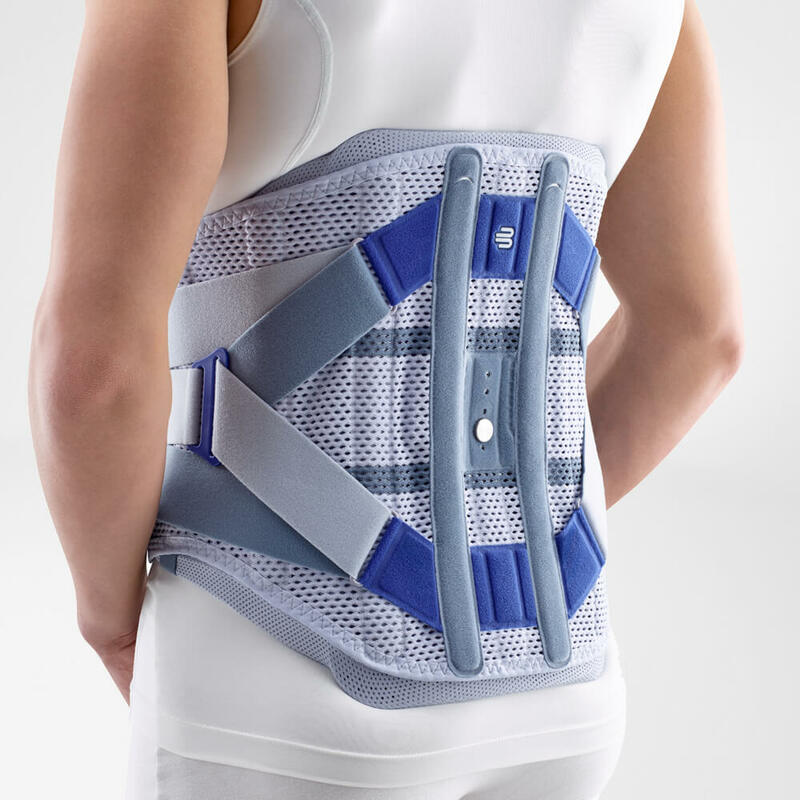 Post-operative or initial conservative support for the lumbar spine. Size: 1 (70-80 cm), 2 (80-90cm), 3 (90-105cm), 4 (105-115cm), 5 (115-125cm), 6 (125-140cm). Waist circumference in cm.